There once was a small Vietnamese restaurant named Thuan An tucked inside a small little red building. After my initial visit, I wanted to go back since the food was both tasty and inexpensive. Hey, the owner was one cool dude too (yes, by being a cool dude, you got bonus points). But to my utter shock and disappointment, it closed not too long afterwards only to be replaced by Kilimanjaro Snack House. 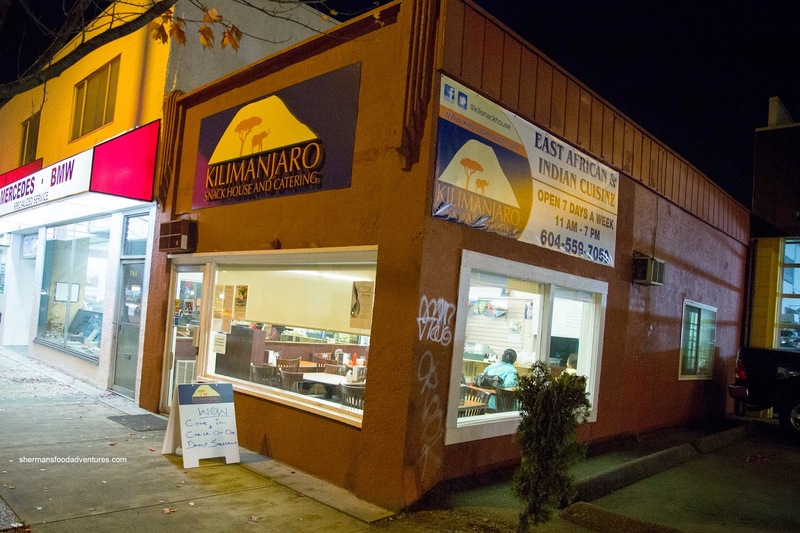 For the next year, I was intrigued at the thought of dining on East African cuisine (as it is not usually found in Vancouver). It didn't happen until they decided to participate in the Curry Challenge. I met up with Whipping Girl to not only try their entry, but to sample some of their other treats as well. 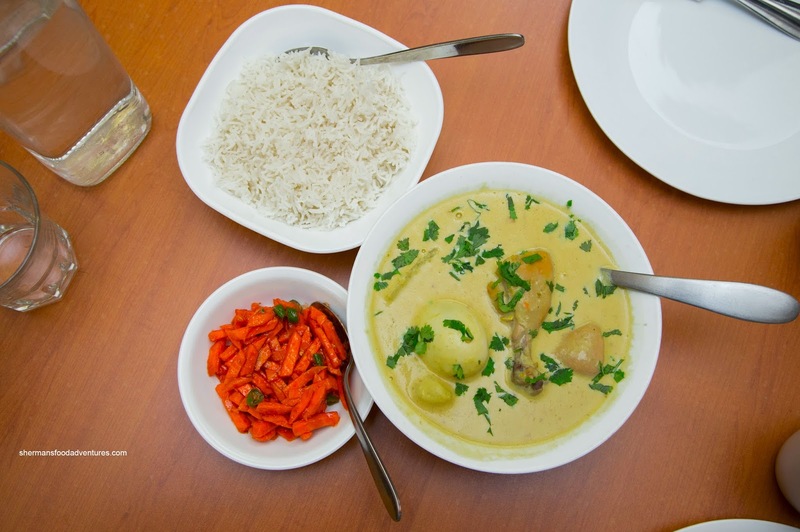 But first things first, for the Curry Challenge we tried their Kuku Paka consisting of coconut cream curry with East African spices, succulent pieces of chicken, hard boiled eggs and potatoes. This was a very mild and creamy concoction that was more about subtleties rather than bold flavours. The chicken came as advertised being tender and somewhat juicy (it helped being dark meat). I enjoyed the texture of the potatoes as they were intact while still being fork tender. Even the egg was properly prepared where it wasn't severely overcooked. 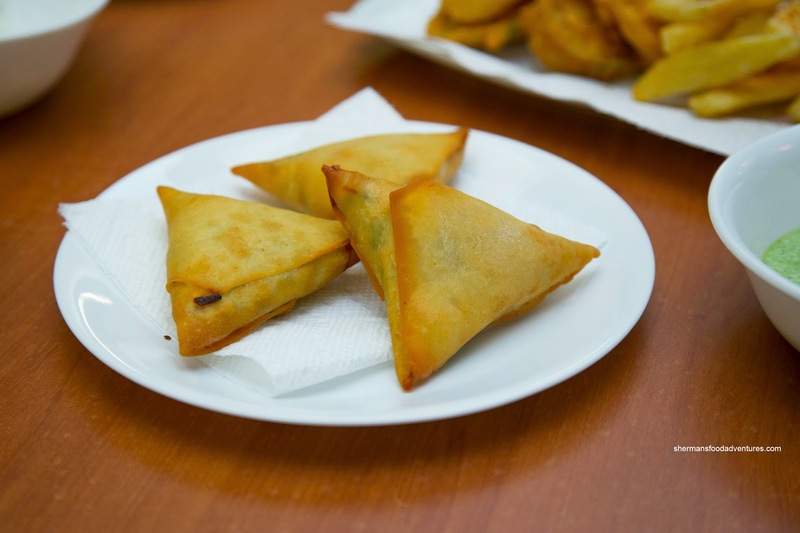 Next up, we sampled the Chicken Samosas that were bursting with ground chicken. With a thin exterior shell, there was a firmer crunchiness which revealed chicken that was bordering between moist and dry. 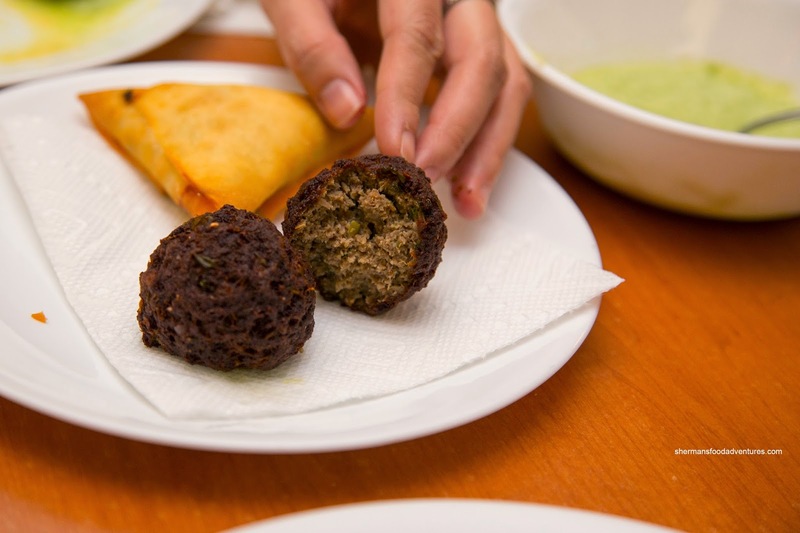 With a touch of spice and notable hits of cumin and coriander, there was enough inherent flavour. However, with the accompanying raita, it helped cool things down. 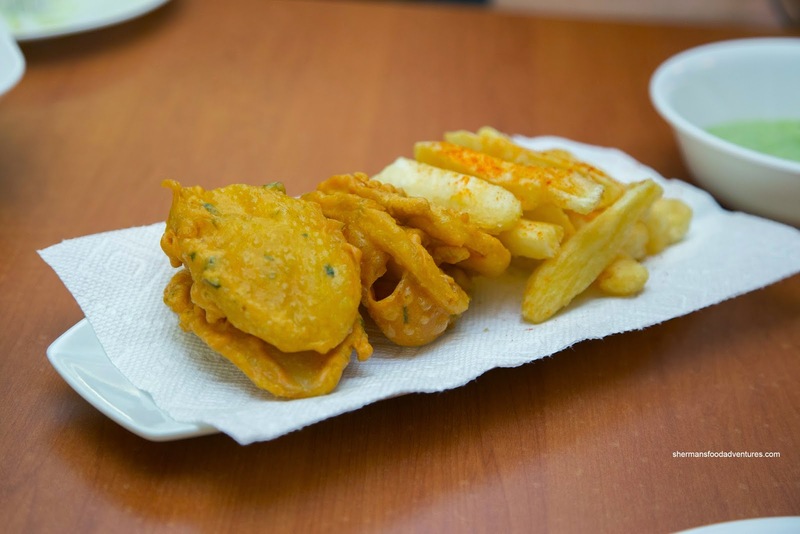 Next up was a couple of fried starchy items beginning with the Nylon Bhajia which were thinly sliced potatoes, lightly battered in chickpea flour with spices. These were crunchy on the outside while soft and slightly greasy on the inside. Truly a great snack that would go well with a cold one. The Mogo or cassava fries were dense as expected, yet fried crispy on the outside. To finished them off, they were dusted with a bit of spice. Lastly, we tried Beef Kebabs consisting of extra lean ground beef mixed with herbs & spices. Exactly as described, these were crispy on the outside. Inside, they were as moist as extra lean beef could get. With a bevy of spices including cumin, cilantro and red pepper flakes, these were pretty tasty. Despite the limited menu at Kilamanjaro (it is a snack house though), we found enough interesting eats to sample. Worth a try if you're in the area.